Countdown To JoeLanta and The Great Atlanta Toy Convention: 3 Days To Go! 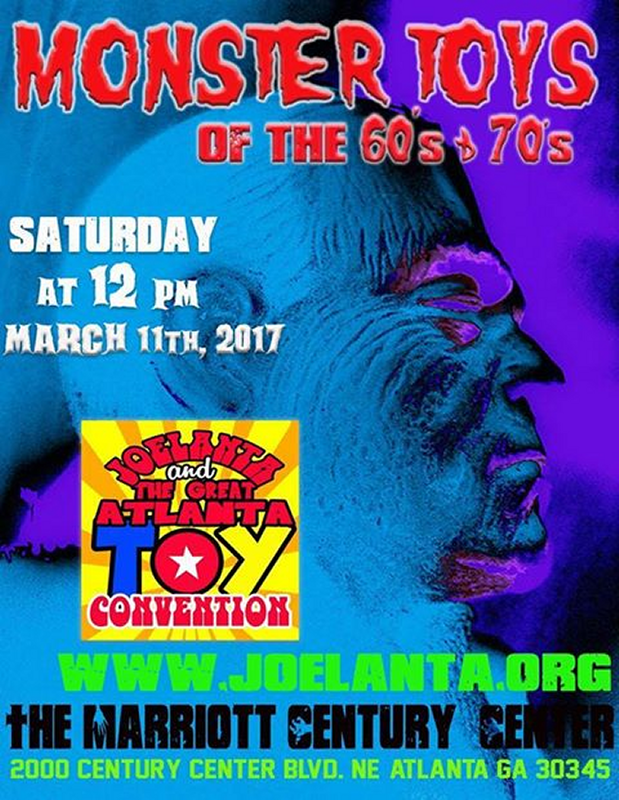 JoeLanta and The Great Atlanta Toy Convention is not just one of the coolest places on the planet. It can also be eerie. One of the wild “small world” happenings at the first JoeLanta that I attended was that I met Clay Sayre, who is an expert on monster toys, then later I found out that he’s from Saint Albans and has been longtime buddies with my good friend, Mark Wolfe. That was a bit odd, driving several hours to meet someone who grew up roughly in the same area that I did, but it was also pretty darned cool. Clay will return to host a panel this year at JoeLanta and The Great Atlanta Toy Convention, and it’s sure to be a blast.